We're alive! We're slowly unpacking, and digging out of these mountains of boxes! I have so much respect for those of you who've told me you move around a lot...I don't know how you do it! The weekend we moved in was also Brayden's birthday weekend. This year we decided to do low key birthdays with just family. We've had a lot going on and at this age, I know my kids really don't care about a big party worthy of Pinterest. They just want time with us and their grandparents, so that's what we gave them! 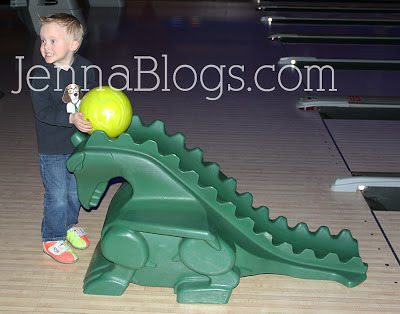 Brayden decided to go bowling, which is his current favorite thing to do (even better than going to Chuck-E-Cheese, gasp!). Brayden's favorite person in the world outside of Chris and I is my Dad. 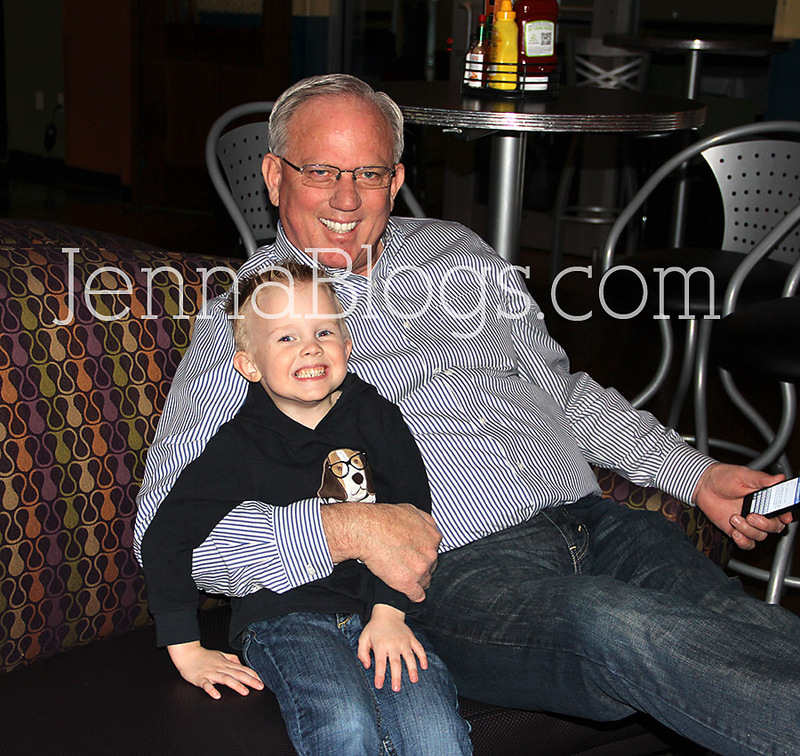 He loooooves his GrandDaddy. It was a tossup between sitting with dad or bowling! My happy little birthday boy. He had such a wonderful time. 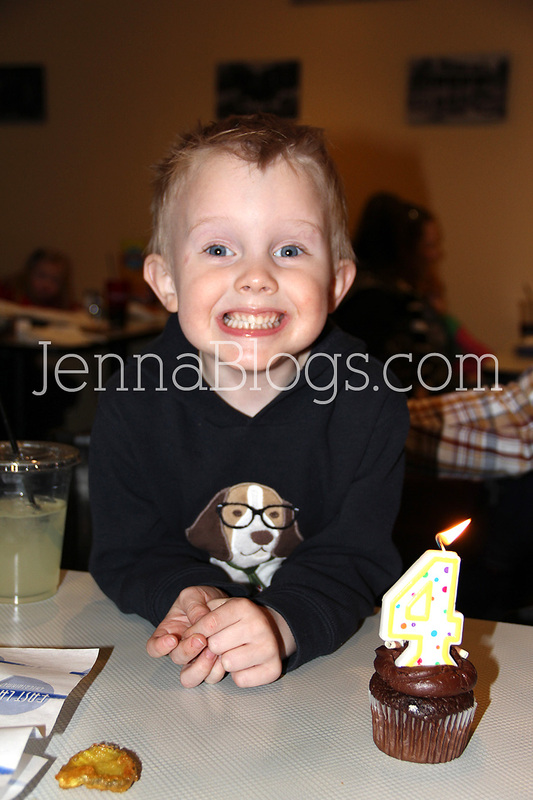 When I look at him today it's hard to imagine where we were four years ago. What a miracle he is. We are so thankful to God for blessing our lives abundantly with both of our boys. The journey that Brayden took was by far the hardest thing we've ever been through and I am amazed and so thankful at the good that has come from it. I know a lot of you were reading my blog back then, sending me emails, even writing into the hospital (by the way, we kept every single email that you sent that came in from the hospitals email service). It may have been four years ago but we haven't and will never forget your kindness and your prayers! Happy belated birthday to my precious Brayden! 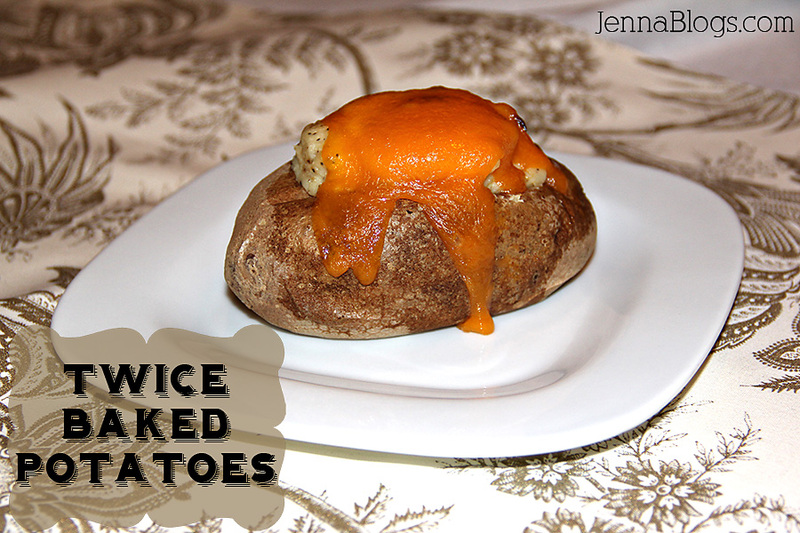 The other day I was looking for a side dish to go along with what I had made for dinner. 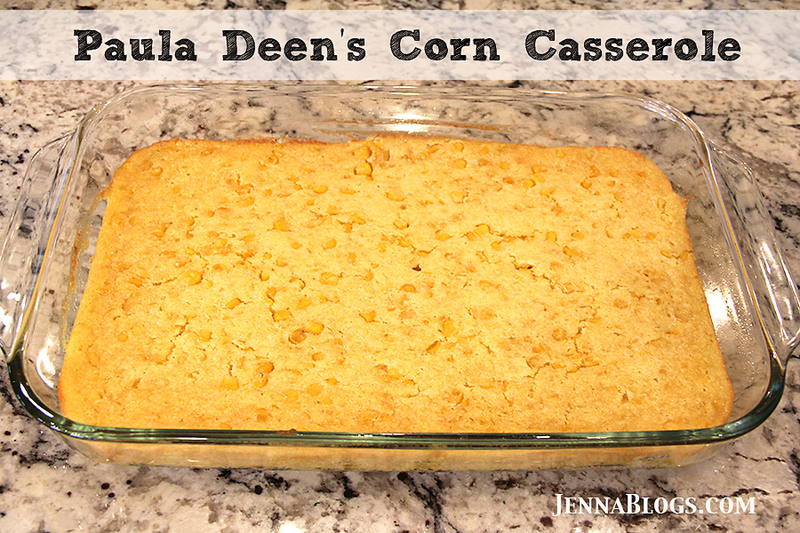 I didn't have all of the ingredients for my mom's corn casserole, but I did have the ones that Paula Deen's casserole requires, so I decided to make that. It was SOOOO good! 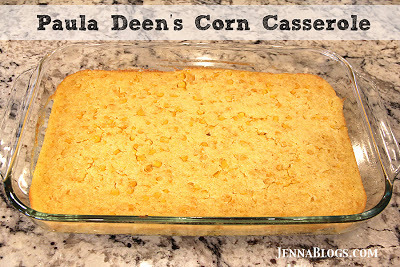 I didn't add the cheese because it just doesn't go with corn casserole (for me) but you can if you like! 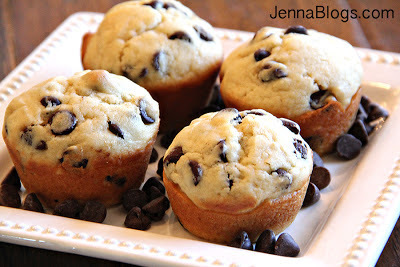 I looooove chocolate chip muffins. However, I realize that, while hard to swallow (pun intended), not everyone loves chocolate as much as I do. Which is just unfathomable, but I digress. Preheat oven to 400. 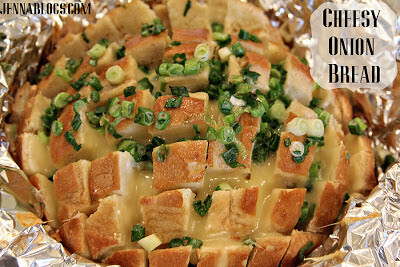 Lightly spray muffin tin OR line with muffin liners. In a large bowl, whisk together flour, white sugar, brown sugar, salt and baking powder making sure to get the lumps out of your brown sugar. Next, melt your butter - you don't want to do this before you mix your dry ingredients or the butter will start to resolidify. In a small bowl mix melted butter with your milk and vanilla and then add your eggs (don't add the eggs first because you don't want the hot butter to cook them). Add wet ingredients to the dry ingredients and mix until well blended. Fold in your topping of choice, in my case, the chocolate chips. 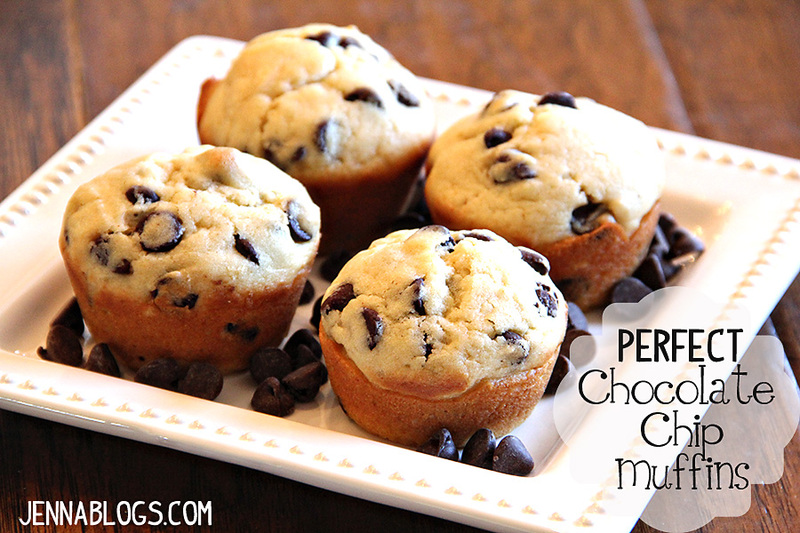 Using an ice cream scooper, fill your muffin cups evenly dividing and using all of the batter. Bake about 17 minutes. Test with a toothpick for doneness. I finally cooked in my new kitchen! Woohoo! Two nights ago I was at my mom and dad's and mom had made this delicious Chicken Piccata. I changed it a little because not everyone is as crazy about lemons as we are! Preheat oven to 350. Get a pot of boiling water going for the pasta. First, place 3 tenders on a sheet of plastic wrap. Top with another sheet of plastic wrap and using a mallet, pound them thin. Repeat with all tenders. Using three pie plates, add flour, salt, pepper (to taste) and lemon pepper in one, eggs and water (whisked) in the second, and breadcrumbs in the third. Dredge chicken in the flour, then eggs then breadcrumbs. Using a large pan, heat enough olive oil to lightly coat the bottom of the pan. Cook chicken until lightly browned on both sides then place on a sheet tray. Repeat with all tenders. Put chicken in a 350 degree oven for about 15 min's while you cook the sauce and the noodles. Wipe out pan with paper towels. Add in 2 T of butter and then your white wine, chicken stock and the juice of 1 lemon. Simmer over med-low heat letting the sauce reduce - not by more than half. Add in capers, salt and pepper and finish with remaining 3 T butter for a glossy finish. 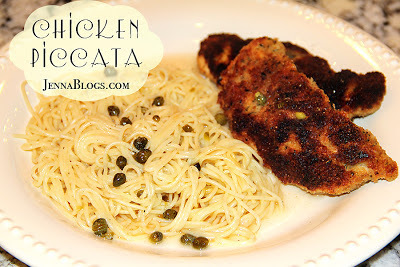 Serve sauce over chicken and pasta. I am SO sorry that I didn't get this posted yesterday! We moved into our new house and our Wifi hadn't been set up yet, so I had no way to announce the winners! It literally got set up 5 minutes ago so this is my first order of business! Here are the five Very Jane winners! Yay! Congratulations to you all! Just send me an email at EmailJennasJourney @ Gmail . com with your email address and physical address. I will pass your info along to Very Jane and they will get your prizes sent out to you! If I do not hear from you by Tuesday, January 15, I will be drawing a new winner! We are moved in and unpacking! Holy moly! What a fiasco! We spent our first night in our new house last night and the kids are SO excited about their new rooms! Once everything is put away and set up I will be sharing more pictures! I'm usually an every day - every other day blogger but I've been absent a lot over the last two weeks because...we are finally moving! Yay! We are hoping to spend tomorrow night in our new house which is very exciting but this process has left me with little to no time to sit down and blog. 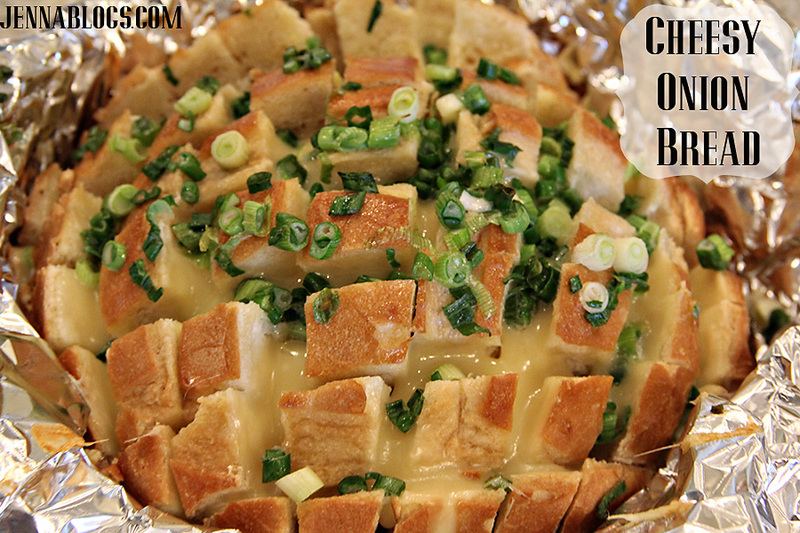 I have new recipes to share, just no time to share them! I did want to let you all know that my Very Jane Giveaway that will have FIVE winners ends tomorrow, so be sure to get your entries in! You can enter through the comments section OR through Rafflecopter on that post (please don't enter on this post! ), whichever you prefer. 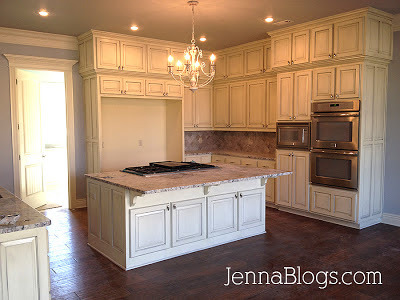 And I'll leave you with this little sneak peek of my kitchen which was almost completed the other day! I'll post more pictures once we're in! 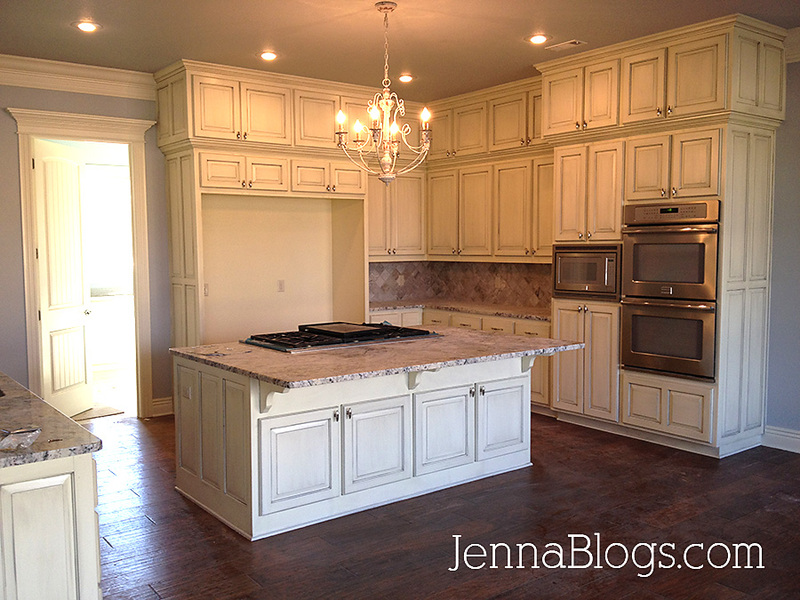 Several of you asked me about the glaze I used on our cabinetry - it's gray! I know using a brown glaze is popular but gray goes with my theme for the house, which you'll see more of later! 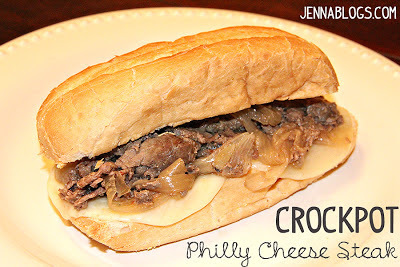 I've been asked to supply a few more crockpot recipes to the archive, and I'm happy to oblige with this new one. I found it awhile ago and made it shortly before Christmas when I was sick. It was so easy and the butcher did the hardest part for me, which of course, is slicing the meat paper thin! I removed the peppers from this recipe since I'm not a fan, but feel free to toss in a red or yellow bell pepper! Add beef, onion, broth, worcestershire, pepper and dressing mix to a crockpot. Cook on medium for 6-7 hours or on high for 4-5 hours. Slice hoagies in half, put two slices of cheese on each hoagie roll and broil at 450 until the cheese is just melted. Top with meat and onion mixture. I am ridiculously excited to introduce you to my newest addiction, VeryJane.com. I have a handful of sites that I check out everyday, and this is always, always my first stop! If you are unfamiliar with Very Jane, let me introduce you. Each day there are brand new deals from boutique sellers (lots of them are Etsy sites, as well as other online boutique stores). 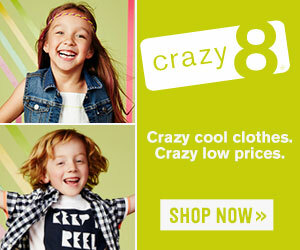 The deals are always different and always fabulous - up to 75% off retail value. It's impossible to list all of the items I've seen on Very Jane over the last several months, but I've purchased everything from home decor, leggings, jewelry, boot socks, little girl hair bows for the future, photography accessories, gloves, a camera strap cover...you get the idea. The deals are awesome and always different! Also, and I think this is very important to note, the customer service I've received is superb! I am super thrilled to bring you a Very Jane giveaway today! There will be 5 winners! Isn't that awesome? So, what can you win? The sweet people at Very Jane allowed me to pick a couple of items for you. 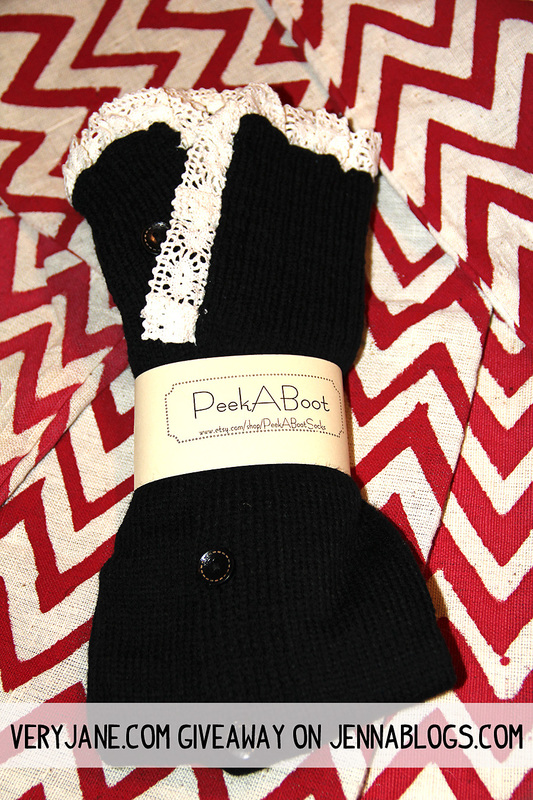 The first are my favorite black knit and cream lace boot socks - aren't they adorable? Three of you can win these! Boot socks are such a HUGE trend this year and I'm sure they will continue to be popular for years to come. They are such a cute and easy way to dress up an outfit. I love layering mine over jeans or leggings. Its made to look like whitewashed wood, and you can easily secure it to your wall with painters tape, take your pictures, remove it and roll it up for easy, compact storage. I keep mine in the roll container it came in, and store it in my hall closet. For one entry, leave me a comment OR enter through Rafflecopter with your first name, email address and preferred item (backdrop or boot socks). 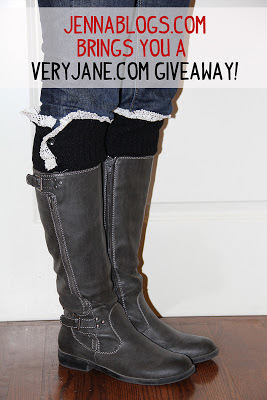 For a second entry, subscribe to Very Jane's daily deals by visiting VeryJane.com and entering your email address! 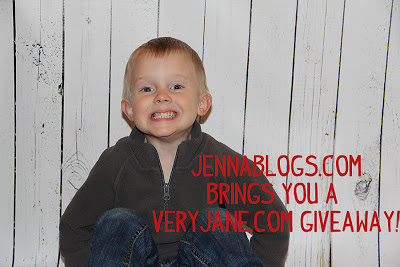 For a third entry, "Like" Very Jane on Facebook. Just click here to visit their page. For a fourth enter, "Like" my brand new Facebook page! Click here to visit and like. For a fifth entry, Tweet about this giveaway. Be sure to mention @VeryJaneDeals and @Jenna05. 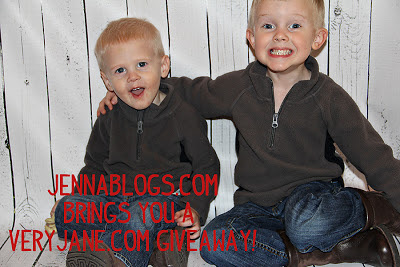 For one more entry, Pin one of the giveaway pictures or blog about this post! Good luck! 5 lucky winners will be drawn next Friday, January 11!